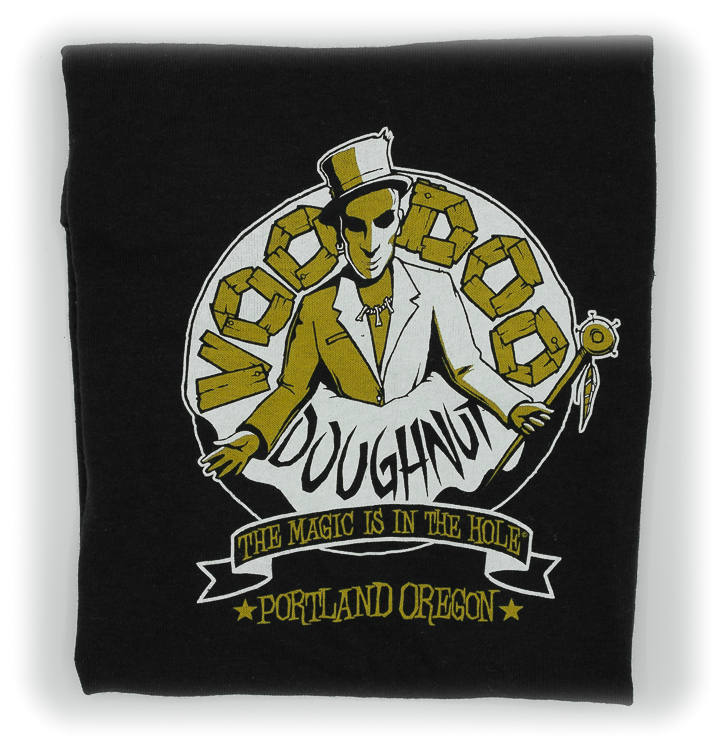 Voodoo Doughnut Kid’s T-shirts size 6 months to 10 years. Toddler shirts and kid shirts with an over-sized logo on the front. 6-12 months and 12-18 months sizes both have slotted lap necks for easy donning and removal. Also available in 4T, 6, 8 & 10. 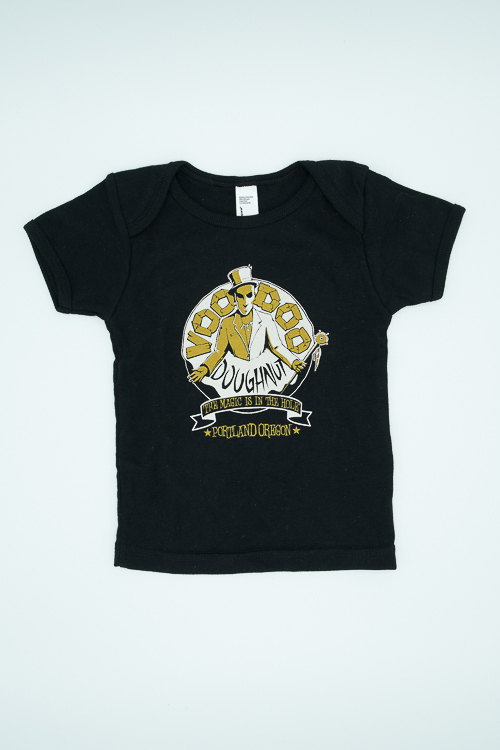 Infant sizes 6-12 and 12-18 months printed on American Apparel. Toddler and Youth sizes 4T, 6, 8, and 10 are Printed on Delta Apparel. Toddler sizes have slotted lap necks for easy on and off.